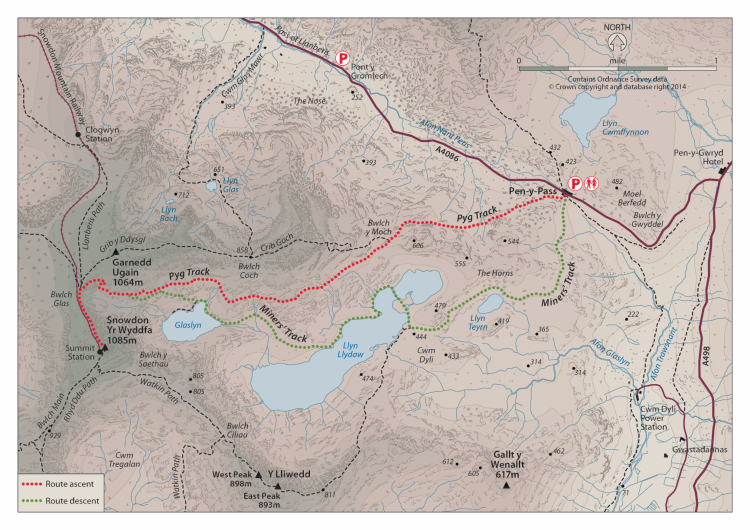 The Pyg Track is the ‘classic’ Snowdon route. 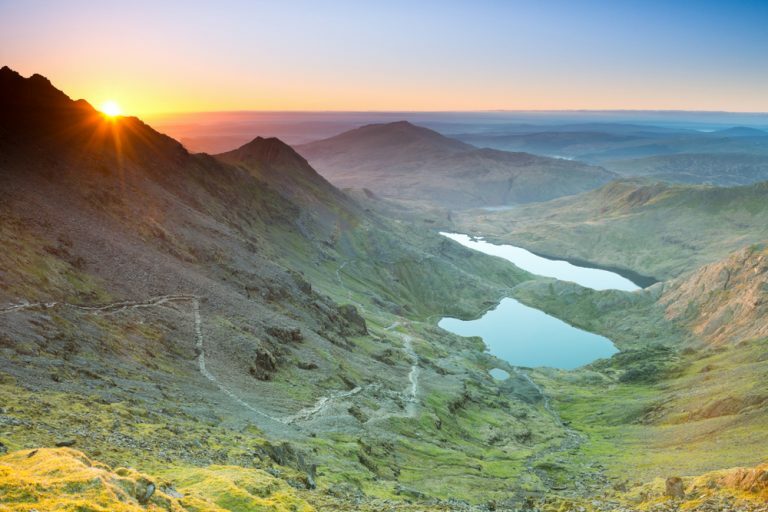 Steeped in history and legend, the Pyg Track attracts many walkers every year wanting to climb Snowdon via this iconic route. Not as busy as the Llanberis Path, the Pyg Track is still one of the Snowdon ‘super-highways’, and one of the most popular routes on Snowdon. There are many posts and articles online about the Pyg Track, while some are helpful none of them give you enough detail about the route. A lot of the guides have similar information and tips, and we noticed there were a lot of things missing that were key and will make an impact on your walk. 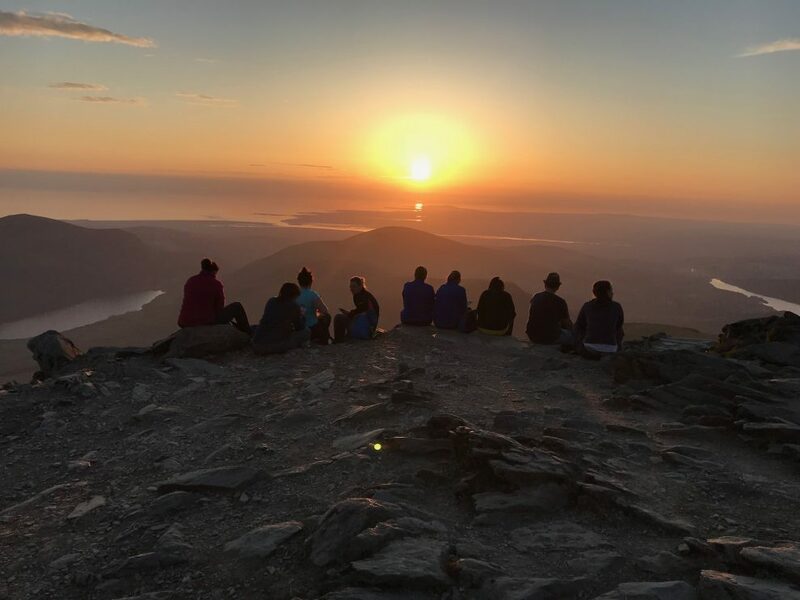 So that’s what we want to do with this post: share with you all the key information that will ensure you have a great experience climbing Snowdon. The Pyg Track is one of the main walking routes on Snowdon and known as the ‘classic’ route. Short, scenic, steeped in history and with a tough final ascent, this is a fantastic route for both beginners and experienced walkers. The Pyg Track is the shortest route to the top of Snowdon with the least amount of vertical ascent (but still a tough walk). The Pyg Track is simple to follow and the route is well maintained making this a good route for less experienced hillwalkers. The scenery on the Pyg Track is possibly the best of any of the other routes which is why this route is so popular. Why is it called the Pyg Track? The Pyg Track is also the start of the popular Crib Goch scramble. Make sure you stay on the right path! 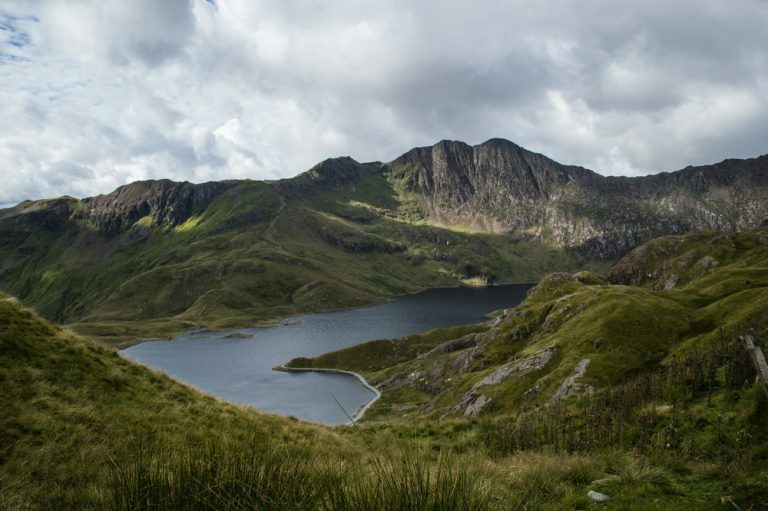 The immense and grand cliffs of Crib Goch and Y Lliwedd loom either side of the Pyg Track as you carve your way towards the vast Snowdon pyramid via the imposing lakes of Llyn Llydaw and Glaslyn. 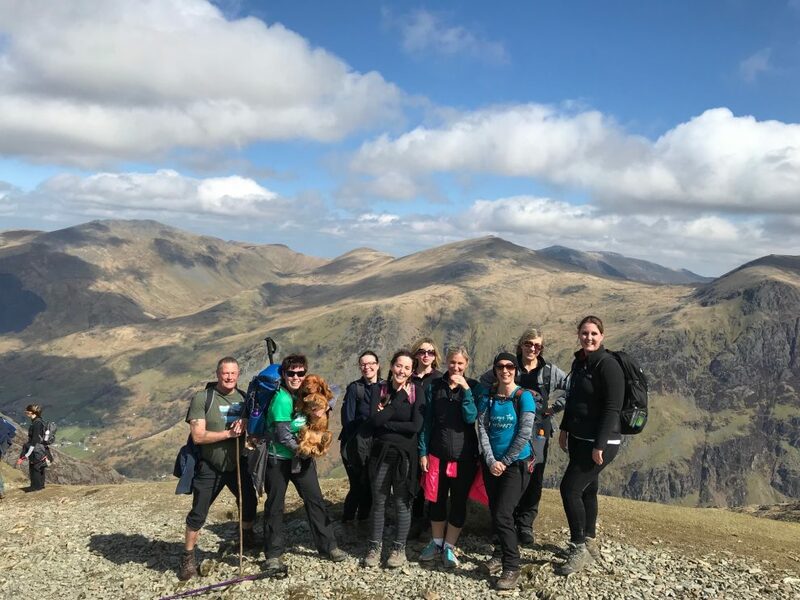 A final steep zigzagging ascent takes you to the top of the Pyg Track where the route then joins the main Llanberis Path at the ‘finger stone ’for the final few hundred metres to the top of Snowdon. Car parking is available at Pen-y-pass but this can fill up quickly, often by 7am, especially at weekends. We highly recommend parking in Llanberis and taking the Sherpa bus from the village to Pen-y-pass which costs around £1.00 and takes just 15-minutes. The Pyg Track starts behind the Pen-y-Pass café heading west. You will walk past a wooden post with a blue ‘Pyg Track’ sign as well as a stone marker indicating you are on the correct route. The path runs alongside Carreg Gwalch heading west directly towards the dominating East Ridge of Crib Goch (this is a tough grade 1 scramble). After 1.5km (1 mile) the path splits below Crib Goch (SH 633 552). Ensure you stay on the Pyg Track route and do not take the stile leading to Crib Goch (this is very well marked). The Pyg Track runs east for the next 2km with the ridge of Crib Goch high above and Llyn Llydaw 200m below. It’s also at this point that the summit of Snowdon can be clearly seen straight ahead (if the weather allows). The route takes you directly through the basin of the Snowdon Horseshoe making for fantastic views of Crib Goch, Y Lliwedd and Crib y Ddysgl (Garnedd Ugain). The route continues along the Pyg Track through the Cwm with a few easy rocky sections which shouldn’t cause you any difficulties. You will soon leave Llyn Llydaw behind you and reach the smaller lake of Glaslyn directly under the Snowdon summit. The path will arrive at a standing stone marker (SH 615 548) which indicated the split leading down to the Miners’ Track. Continue along the Pyg Track which soon becomes more steep! The final sections follow a zigzag route steeply up the mountain with Garnedd Ugain on your right. This section of the route can be challenging in terms of ascent compared to the last few sections so take is slow and save your energy. The path will emerge at the top and join the main Llanberis Path running alongside the Snowdon Mountain Railway. The path will also be marked with another large standing stone (SH 607 549) known as the finger stone. This section of the mountain can be busy as the Llanberis, Pyg Track, Miners, Ranger and Crib Goch/Garnedd Ugain routes all intersect for the last few hundred metres to the summit of Snowdon. Follow the path heading south alongside the railway for the last gradual ascent to the summit. The path will join a set of steps which will take you to the Snowdon summit. 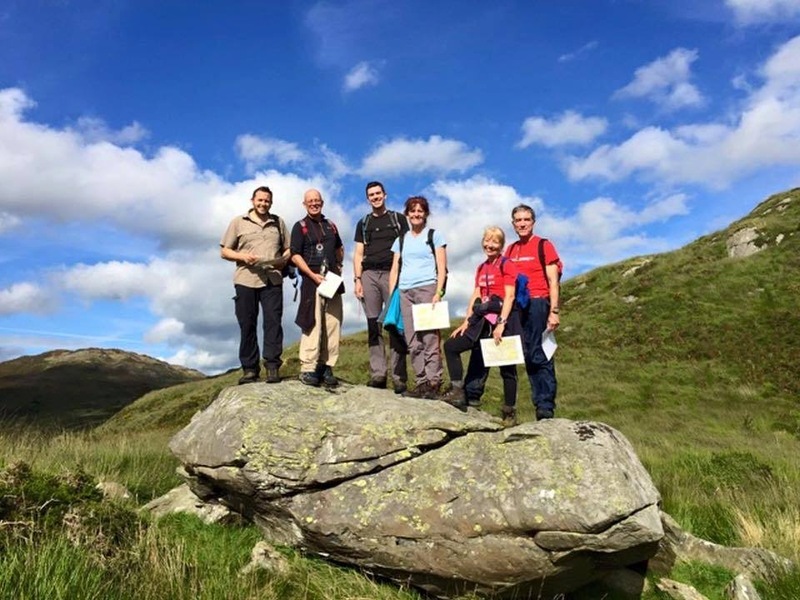 The descent for this guide takes you back to Pen-y-pass via the Miners Track. You can also head down to Llanberis if you took the Sherpa Bus from the village as the main Llanberis Path will take you directly in to the village and will save you getting the bus back from Pen-y-pass. Leaving the summit of Snowdon head along the railway for 300m until you reach the large standing market stone indicating a right turn down to the Pyg Track/Miners Track. Keep an eye out for this marker and as it is often missed when visibility is poor and walkers follow the crowds heading down to Llanberis. Turning right at the marker stone the Pyg Track steeply ascends down the zigzag path towards Glaslyn. As you get around halfway alongside Glaslyn the path will split and marked with a large stone. Take the right-hand path leading you down a steep scree slope (take care) reaching the edge of the lake (leaving the Pyg Track). The Miners Path runs around the edge of the Llyn Llydaw and then past some disused mining works. At the edge of the lake the Miners’ Path (SH 628 545) hugs the shore and meanders around the lake and over the walkway crossing the lake. The route gradual descends and after 1km you will reach the small lake of Llyn Teyrn. The final 1.5km to the car park at Pen-y-pass is an easy stroll with impressive views of Y Lliwedd behind and the southern slopes of the Glyderau mountains directly ahead. 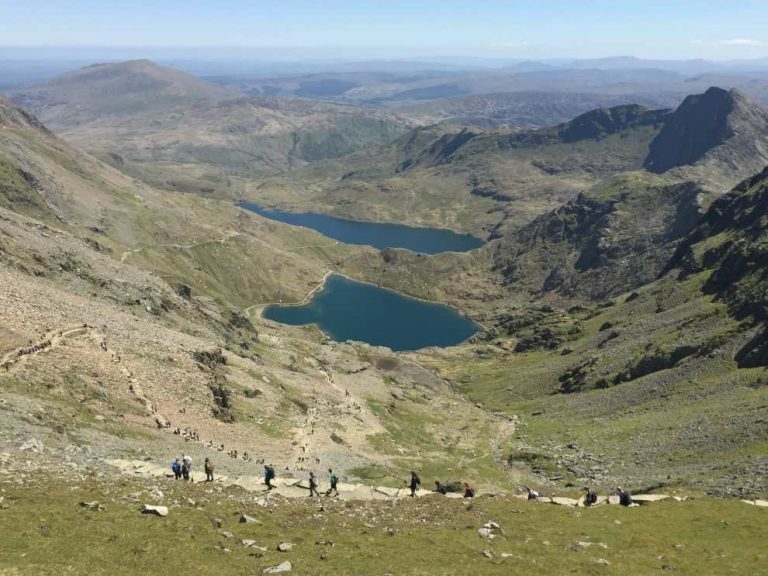 We hope this guide to the Pyg Track helps you plan your Snowdon walk. 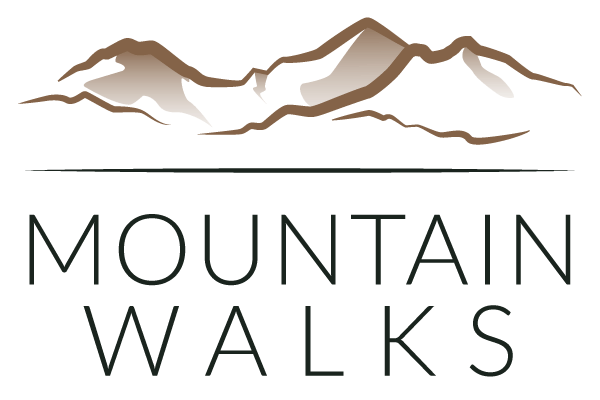 Make sure you share any great pictures on the Mountain Walks Facebook Page and also check out our other posts, walks and hillwalking courses.